Known bug. A bit unpredictable, AFAIK. The only performance drop I noticed on my system with patch 5 is in space near clusters of nebulae and sometimes in intergalactic space. While areas with a lot of nebulae (We all know what sector of the Milky Way I'm talking about and others) has always been somewhat taxing on my system as I'm sure it is on others with patch 5 it's noticeably worse. Close to a 15 fps drop. On my machine, the only fps drops I encounter are when High Quality auroras are enabled. With those, the fps are in the single digits. The fps will occasionally drop to the 10's or 20's near complex moon systems, but that is all. Custom textures will still show up completely black, so visiting Sol is out of the question. 0.971 did not have the black textures issue. Custom catalog binary terras are way too hot. 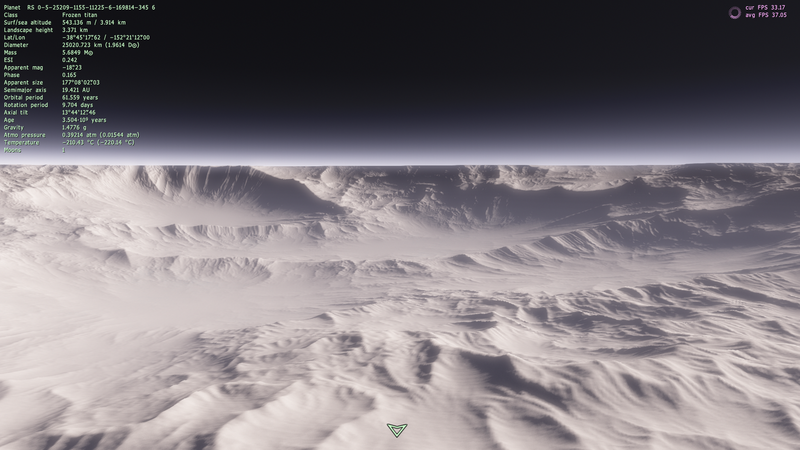 When both have Pluto-style mutual tidelock, one of them will use the "eyeball" procedural terrain unless I force it to use custom rotation parameters. In "binaria.sc", the affected worlds are "Dirdel" and "Binary". Setting the Eccentricity to zero partially fixes it. I did not have this issue in 0.971 either, IIRC. In every version 0.972 and later, the only way to fix it is turn off Diffraction spikes + lens flares altogether. If I want it to return to normal, I have to quit and restart the game. 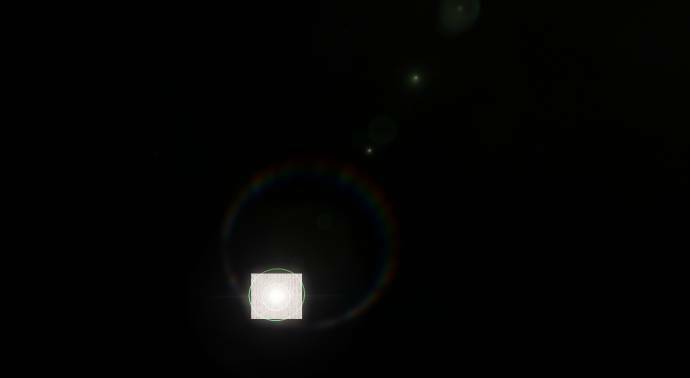 My SpaceEngine is working perfectly! But asteroids do bother me alot. The info on each asteroid says that the mass of it is infinite. But a good thing is that the asteroids look completely normal. Thanks, so far that fixed it, what about the spacecraft was causing that, if I may ask? That reminded me; I've been having a bit of problem with the Frozen Titan Moon bug, and I noticed that most of the atmosphere parameters on those glitched-out Titans have some weird symbols, I presume they represent either infinity or N/A, Hope that might help fix the bug. You're right, low-quality aurorae are much better. But is's still a slight drop compared to leaving them off, especially if you're up close..
Is this me or there is for each patch a huge performance improvement ? I've noticed a few times where the mountains have been cut off at the horizon line when close to the surface. This time I grabbed a screenshot and my se.log. Edit: Seems I can only attach the log. How do I attach a screenshot? Ahh. I thought I had seen some people attach images before. I'll just host it then. Thx. Upload the picture to Cubeupload or another site and then post the link to the picture here, or press the "img" code key above the textbox and type in the link to the picture. You need to be more specific. What are the errors you are getting and when. Can you provide screenshots and your se.log? I am currently running 0.9.7.4. When I use F3 function to search for earth or anything in our current system, i seem to always get Object Not Found..
You must install 0.9.7.2, patch with 0.9.7.3 and patch again 0.9.7.4. I had the same problem and I found this fix.